Centro de Excelencia » University Sergio Arboleda is the youngest to get a National Accreditation of Excellence. University Sergio Arboleda has been given the National Accreditation of Excellence valid for four years, which turns it into the Higher Education Institution ton get that recognition from the government, at the same time of its thirtieth anniversary. According to resolution 00590 of January the ninth of 2015, The Colombian Ministry of Education recognized the excellence in the academic programs, organization, in operation and the commitment to the social labor. 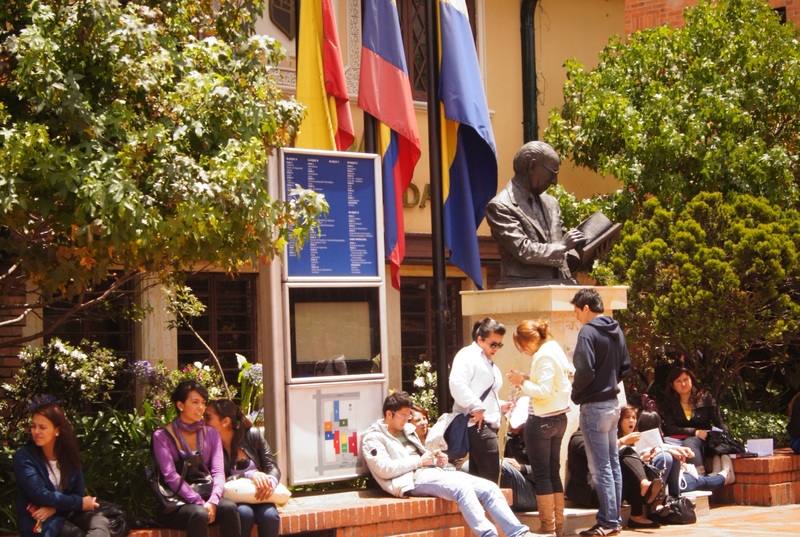 In the oficial document, the Colombian Accreditation Counsil –CAN- highlights 24 positive aspects, they not only confirm that the University is one of the best in the country but also turns it into the younger higher education institution being awarded with this recognition. The “Sergista” Community sense of belonging along with the wide offer of academics and the priority given for internationalization activities “shown by the 56 agreements with foreign universities in Europe, Australia, Latin America, and the United States”, among some other aspects highlighted. The international Centre of Excellence in Madrid Spain, where University Sergio Arboleda imparts doble major programs, research programs, summer camps, was awarded with a special recognition from the academic system. Likewise, Santa Marta campus was mentioned by stating that “It works according in spite of the few years of its creation, with a high level of efficiency and resourcefulness, permanent awareness for improving themselves and sense of belonging for the Caribbean Coast activities. In research terms, “it is remarkable the effort for concentrating the research around the institutional guidelines where disciplines and sub disciplines merge in order to generate Inter/multi/transcultural knowledge. The CAN underlined the effort made by the university in order to promote flexibility, interdisciplinary, through a humanistic approach, the plurality of the elective subjects, the internships and the variety in graduation options.